Welcome to Wellness Confidential, our quick-fire interview series where we ask hard-hitting (okay, entertaining) wellness questions, lightning round-style. 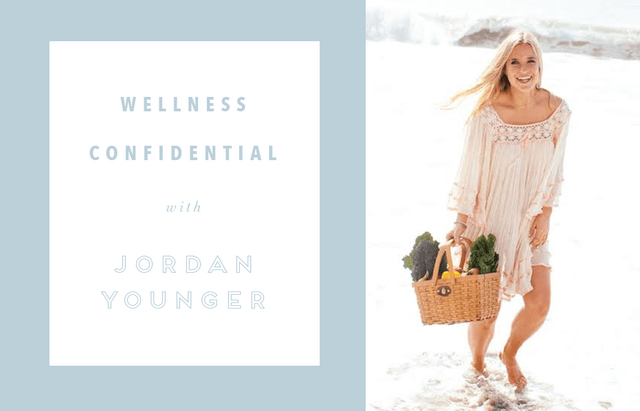 This week we’re chatting with wellness author and blogger Jordan Younger, AKA The Balanced Blonde. Oh, this is such a fun question. If sugar was a superfood I would live off of dark chocolate, acai bowls and cacao granola. Kale! Smoothies are such a great way to sneak in some greens. My usual smoothie recipe is almond milk, chocolate plant-based protein powder, kale, almond butter, and ice. So good! Nowhere? [Laughs] But really, it has to be a serious occasion for me to give up my yoga pants. A wedding would do! HIIT! I am an Orangetheory gal all the way. I have also gotten much more into running over the last year. I ran my first marathon in February and I’ve already signed up for two more! Most definitely crossing the finish line at the LA Marathon last month. Nothing will top that feeling of accomplishment. It’s like no other. There are two. I will never again put coconut oil on my face, because I tried to be a good health blogger and use it as a facial cleanser for a few months…and my face had never been so broken out, inflamed, or irritated. I wish I could pull it off, but I can’t put that stuff near my face ever again! You will never find me at a “morning rave.” You know, that whole 7 a.m. dance party shindig that sometimes occurs on a boat. I don’t even like nighttime raves, and I cherish my mornings for me-time, meditating, and exercise. Call me boring, but…not my thing! I do a lot of work with the National Eating Disorders Association to raise awareness, inspire recovery, and shed light on the rising popularity of orthorexia [an obsession with eating healthy foods]. I recently wrote this blog post for their site that I am proud of, because sharing my journey in the hopes of helping others—and hearing from people who the journey has touched—has been so rewarding. Read a few pages of Brittany Burgunder’s memoir, Safety in Numbers. She is phenomenal and so inspiring. “7 Years” by Lukas Graham. I am obsessed right now. Like, scream-in-the-car-on-repeat obsessed. It’s so powerful! Good books. Fiction, non-fiction, health books, science, history…I never want to stop learning and gaining inspiration from books/poetry/words. It’s what keeps me inspired! “Let it hurt, let it bleed, let it heal, and let it go.” This mantra helps me remember that it’s okay to feel the pain of letting go of something that was once important to you, because putting in the work to deal with it enables you to eventually let it go…. It creates space for more positivity and good vibes to flood in. I am all about creating space for the good stuff these days—it’s my motto of 2016. Want more Wellness Confidential scoop? 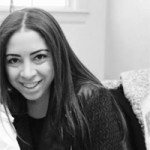 Read how The Skimm founders Carly Zakin and Danielle Weisberg start their busy days. Then see what all-natural beauty product the wellness entrepreneur Annie Lawless swears by.